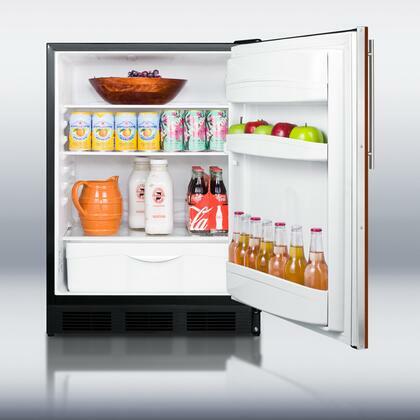 At 32” high, the FF6BBIIFADA can be used built-in or freestanding in ADA compliant settings. 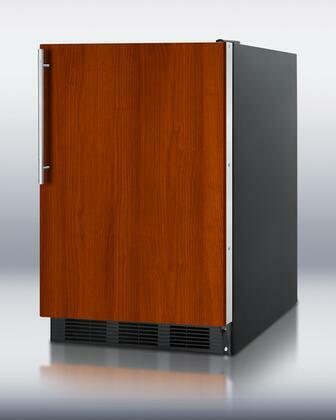 It has a black cabinet and user-reversible door. 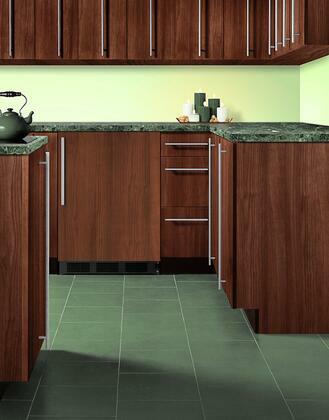 An integrated door frame accepts full overlay panels, allowing you to seamlessly blend the unit into cabinetry. The 5.5 cu.ft. interior includes adjustable glass shelves, door storage, a crisper drawer and interior lighting. Automatic defrost saves on maintenance and SUMMIT’s original “hidden evaporator” creates a seamless interior for easy cleaning. 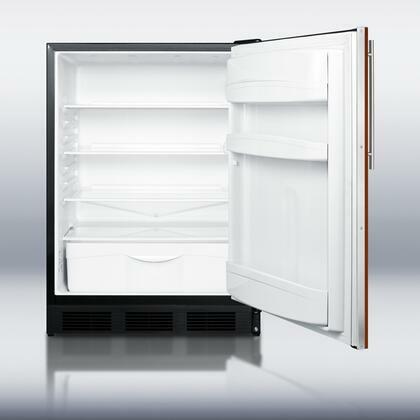 For a matching ADA compliant all-freezer, see the SCFF55BIFADA. 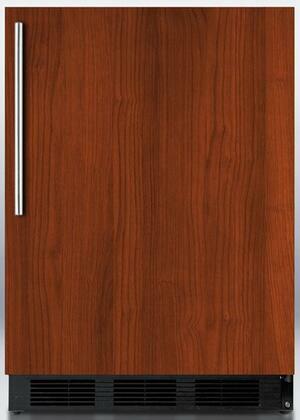 Depth with door at 90° 45.63"
Refrigerator Capacity: 5.5 cu. ft. Depth without Door and Handles: 23.5"
Depth with door at 90: 46 13/100"
Being a bit frugal (to my detriment, my partner would say), I tend to put off problems with major appliances. After the second time all of our dairy products went off in our old refrigerator even after adjusting the temp settings, I'd had enough. That was six months ago and this Summit refrigerator has kept our food wonderfully fresh. Not having bought a new refrigerator in 15 years, I was dubious that I'd need all the new features this came with. Now I wonder how I ever lived without them! Wish I had found this All Refrigerator refrigerator months ago. The storage space is unmatched and I love the attention to detail Summit put into this model. Great Product! I highly recommend it.